Love from the Kitchen: Coming in April! I'm so excited to be able to tell you that one of my BF's is starting her own business! She is an incredibly talented pastry chef, and will be opening a bakery where she lives in Washburn, WI. At Coco, she will create fine pastries and artisan breads. 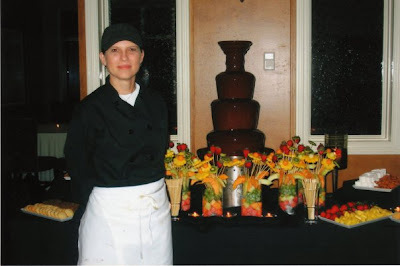 Check out some snapshots of some of her creations! 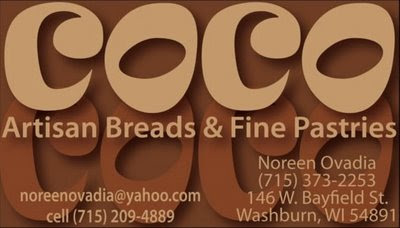 For those in northern Wisconsin, and those who visit up there - Coco will open in April!! Beautiful! I hope she does really well! I will have to pass word about this opening to all my MN and WI friends and family. SO many have vacation homes near and I know they would love feeding their sweet tooths! that's awesome! how exciting. my sister has just started taking a cake decorating class, and i'm so jealous! if i live din WI i'd be sure to visit! ps...its giveaway time again at The Pink Potpourri! Wow! I'm sure they taste as good as they look. She is very talented.